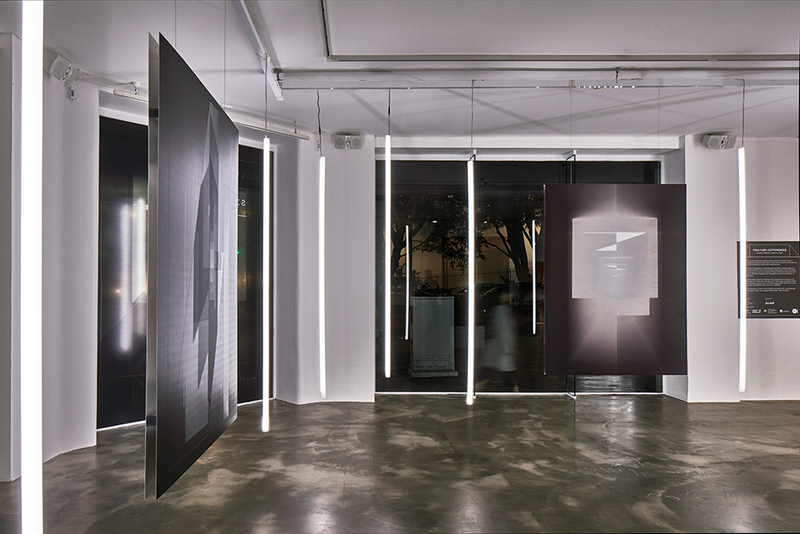 Description: The works of Shannon McGrath and Marcus Piper explore the interplay of light in abstract spatial environments. Subtle shifts of colour across a monochrome palette are a result of the complexities of each artist’s material process. McGrath works in photography, manipulating space and light to capture images that look like they are altered in post, but are actually a literal capture of what the camera “sees” in that moment, never to be replicated. These reinterpreted light spaces invite the viewer to enter their imagination and investigate a subconscious ambience in a lived experience. Piper’s work is both a response to McGrath’s work, and also the continuation of his experimentation over many years with digital craft. These images are digitally created but also hand drawn, constructed in the moment using complex repetitions of simple actions that are, like McGrath’s work, never to be replicated. 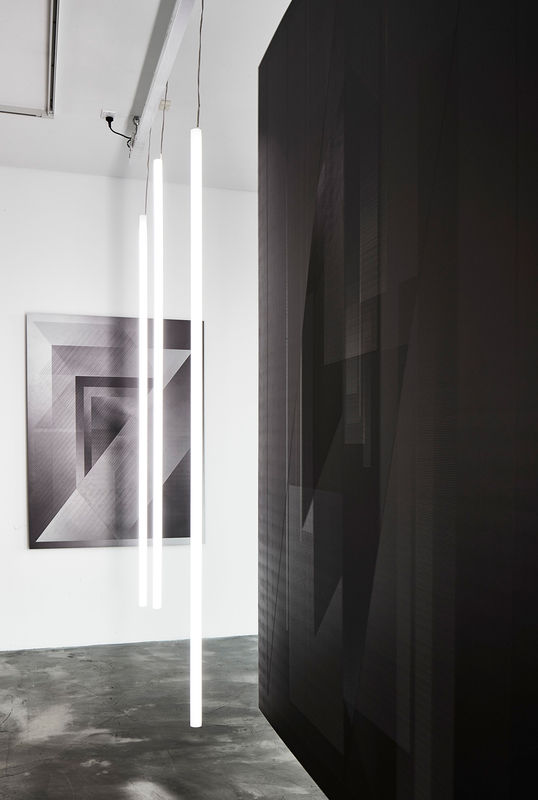 Printed on aluminium, the works in the exhibition are lit with fluorescent tubes, drawing the viewer into a dialogue between light, shape and space.